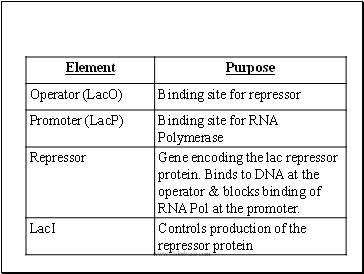 Outline the regulation of protein synthesis in bacteria. 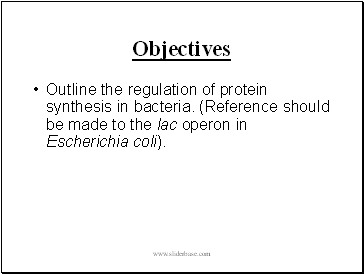 (Reference should be made to the lac operon in Escherichia coli). 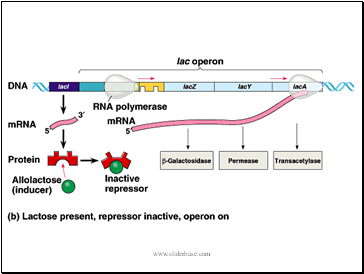 The Lac Operon is an example of an operon that is able to regulate itself depending on the environmental conditions it is subjected to. 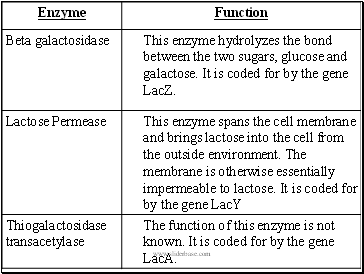 It codes for 3 genes: Beta-galactosidase, lactose permease and Thiogalactosidase transacetylase. These genes are involved in lactose metabolism. 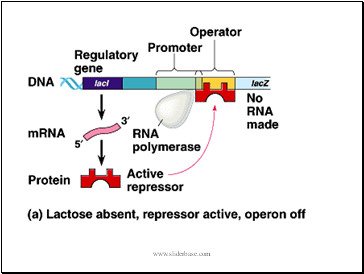 If lactose is absent, the system is turned off; if lactose is present, the operon is switched on. 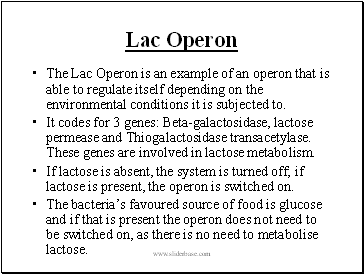 The bacteria’s favoured source of food is glucose and if that is present the operon does not need to be switched on, as there is no need to metabolise lactose.